I met Peggy Willocks when I was a "newbie" lurking on Brain Talk. She pushed me out of the shadows and convinced me to join the Pipeliners, one of the original online patient advocacy groups. Fifteen years later, Peggy is still rattling cages, posting the hard questions on Facebook for all on our shared journey with PD to ponder and answer. My mind doesn't want to go to these places, yet I feel compelled to do so, knowing that our future is determined, in large part, by the choices we make and the actions we take today. Following are Peggy's questions and my answers. 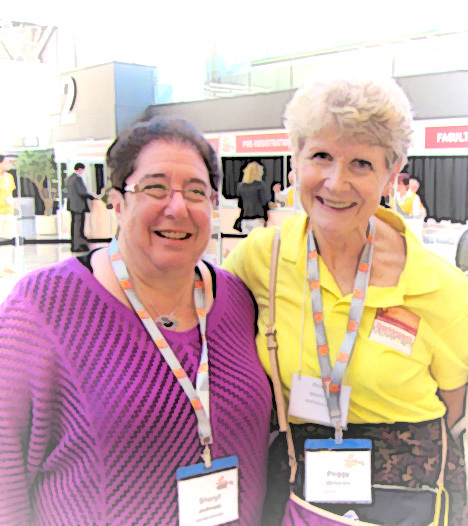 Who among us will show up at the World Parkinson Congress in Portland in September 2016? I plan on being there, not only for myself, but also for those who can't be there. They need us to be their eyes and ears, relaying to them what we learn so they, too, can make informed choices. It is equally important to be there for the "newbies," who, though they may be afraid, need to see and hear from "old-timers" (ugh… must find a synonym for this) living well with Parkinson's. This helps them envision a bright future for themselves. This need to "pay it forward" drives much of what I do. What shape will I be in? There was a time my first response would have been "svelte" (okay, I still wouldn't mind this), but living with Parkinson's has taught me that this is like frosting on a cake – it looks good, but often hides imperfections and cannot stand on its own. So, instead of measuring myself against society's arbitrary numbers, I am focused on doing what I have to do to remain "independent" in both thought and movement. Will I be walking or pushed in a wheelchair? I will be walking, and leaving my footprints wherever I go. I did not have two total replacement bionic knees installed so that I could spend my "golden years" doing wheelies. My legs are made for shopping, and a lot of it. Will I be munching on a hamburger or have a feeding tube? My living will ensures that no one will shove a feeding tube down me. If things get to the point that I life is not worth living anymore, I prefer death by chocolate in any form. Will you be talking or someone be talking for you? I was born talking, and my Dad taught me to speak up for myself at a very young age. No one has ever had any luck trying to change this.